Machine Design/Build – Custom Chassis, Inc. 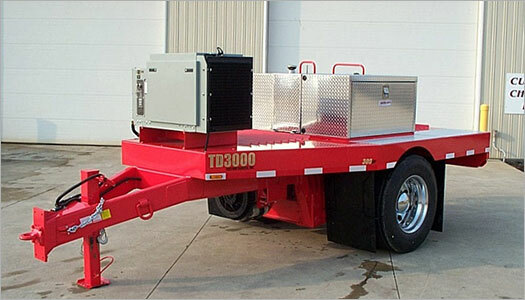 Custom Chassis specializes in the design and construction of complete engine powered machines. 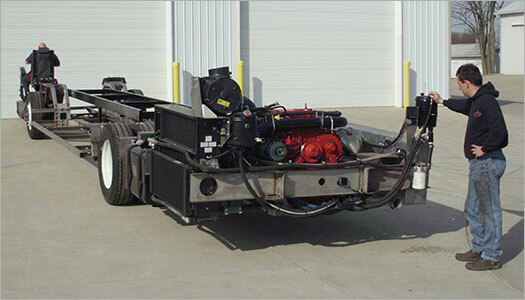 Past projects include US and Euro emission motor home chassis, low floor bus chassis, 600HP tow dynamometers, large agricultural prime mowers, fire fighting cranes, and road repair vehicles. We understand the complex electronic controls and advanced mechanical drive systems to design and build a complete machine. 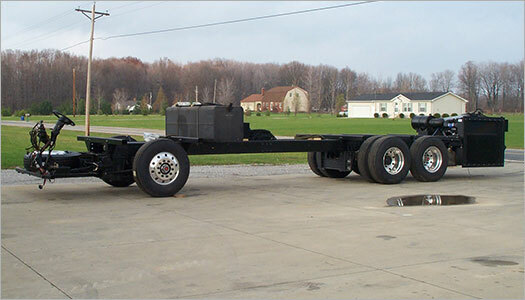 Custom Chassis works in all areas of on and off highway equipment including trucks, buses, commercial vehicles, agricultural, construction, and specialty vehicles. 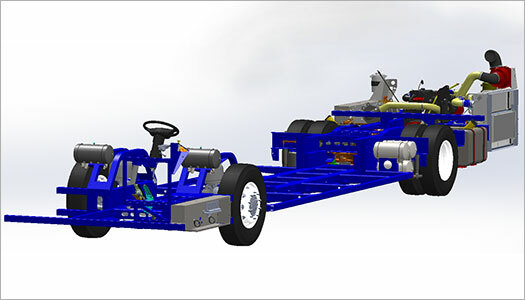 Custom Chassis can help companies that want to create a proof-of-concept machine, a pre-production prototype, an R&D test machine, or emission system upgrade to a current product but do not have the personnel available or expertise in-house. 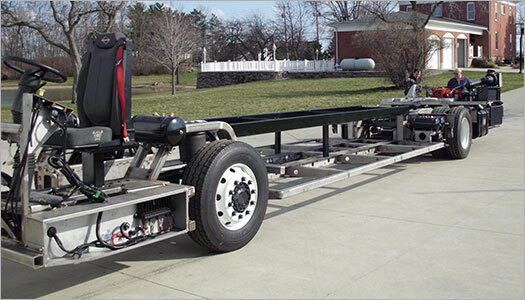 At Custom Chassis we prefer the design/build process to create a better product. 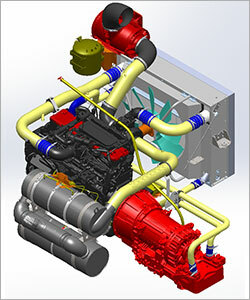 Computer modeling can create an accurate design, but the build process provides a feedback to modify, adjust, and correct any unforeseen design issues. 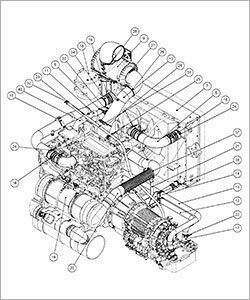 Custom Chassis is fluent in the current engine emission requirements including the DPF, SCR, and DEF for Tier 4 Final, EPA engine, and Euro emissions. All fabricated, vendor specific, sub assembly, and harness drawings. Digital copies of assembly model and related information. 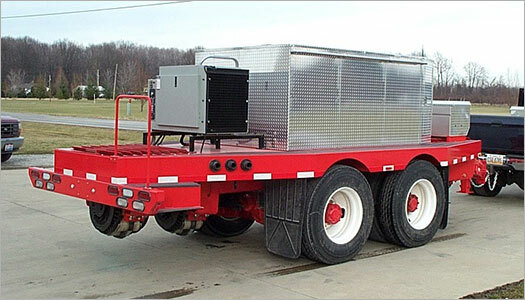 Custom Chassis designs and builds specialized mobile equipment, test equipment, and custom designs mobile equipment electrical systems. 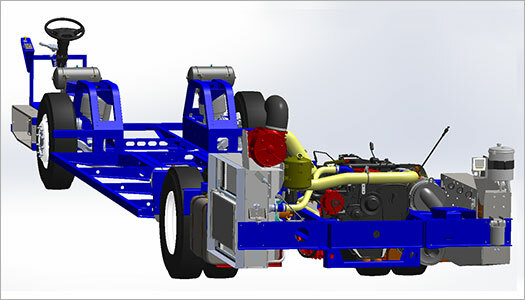 Years of experience redesigning and rebuilding what other companies have overlooked has shaped a more practical approach to chassis design, product engineering, testing, and general management. Matt Tipple compliments his bachelors degree in automotive engineering from GMI (now Kettering University) with a passion for getting things done. Mike Huhn, also with a automotive engineering degree from GMI and a MBA from the University of Michigan, can take the theoretical world of engineering and create practical designs.